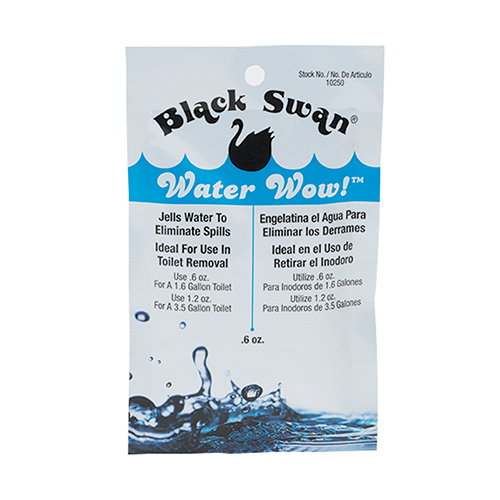 Black Swan’s Water Wow!™ can be used wherever water needs to be removed. Ideal for use in toilet removal. If you have large puddles of water on the ground, sprinkle Water Wow! on the puddle and watch the water jell. You can easily remove the jelled water. If you have a clogged drain and water is in the sink, sprinkle Water Wow! 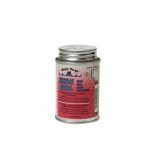 on water, watch the water jell then remove the jelled water and then introduce your drain pipe opener to unclog the drain. SKU: wow. Category: Black Swan.